Free hosting is hosting that you do not have to pay for. It is free. Free hosting is usually financed in one of two ways. 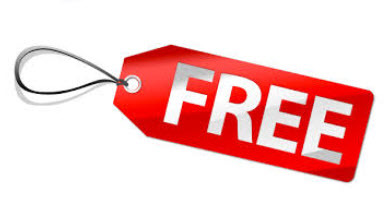 Advertising based free hosting: The hosting is free but the host makes money by placing adds on the websites hosted. 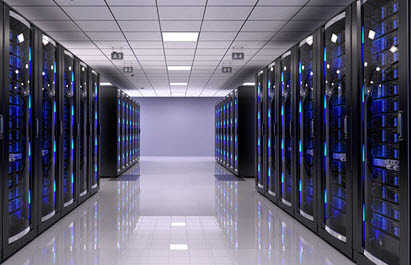 Upsale based free hosting: Other companies give you free hosting in the hope that you will subscribe to premium paid features or that you eventually will update to a larger paid account once you grow out of your free one. Free hosting providers are businesses. They do not offer free hosting out of the goodness in their hearts. Many free hosting providers offer a sub par service to make you more likely to update to a paid account. Some hosts might also keep your site hostage unless you agree to pay a fee to be allowed to move it away from the server. Free hosting does provide a number of benefits. This is especially true if you are planning to build your first website. Below we are going to look at some of the benefits of using free hosting. There is no barrier to entry. Anyone can sign up for free hosting and start building a website for fun or profit. You do not need any money to get started. It is free. You do not have to commit anything but your time to get started. This allows you to try an idea even if you are not 100% sure it will work. If you fail it is no big deal. Easy to use. Many free hosting companies will set up your software for you so that you can start writing texts and posting images. You do not need to know how to install any software. You do not need any prior knowledge. You do not need to manage the hosting. You do not have to worry about the back end of the site. The company manages your hosting and make sure that your website stays online. You can focus completely on your website. Quick to get started. Many free hosts will have your website up and running ready for you start posting content within seconds after you finished the registration. There forever. Most free hosting companies will keep your website online forever (as long as the company survives). You do not need to remember to pay hosting and domain renewals. The website remains online regardless of everything. Anonymous. It is easier to stay anonymous when you use a free blog because you do not have to enter any credit card information or anything else that is tied to your identity. You can use an alias to register. Unfortunately there are a number of drawbacks to free hosting as well. The drawbacks are fewer than the benefits but they are more important and the reason I do not recommend free hosting. Limitations: There are often limitations to what you can do when you use free hosting. You are limited to using the tools that the host have decided to make available to you. This can make it impossible to build the website you really want. Poor SEO: Many host limits your access to the software used. This limits the SEO optimization you can do. Many free hosts use poorly optimized software. Hard to move: It is often hard or impossible to move your website from a free host to your own hosting. (unless you want to do it manually). Some sites charge a few to give you access to your data. Even sites that give you free access to the data often lacks tools for automatically moving the site to another host. Usage limits: It is common that free hosts forces you to comply with a TOS that states which types of websites you are allowed to host. This if often true for paid hosting as well but the rules when using a free host are often more limiting than if you use your own hosting. Lower resale value: A blog that is hosted on a free host will have a lower value than if it was on regular hosting. This is especially true if you use a free URL from the host rather then your own domain. Using a free URL will reduce the value a lot, using a free host with your domain will only have a small impact as long as the free host allow you access to your data to move your site. Advertising: Many free host place advertising on your blog to pay for the hosting. Not suitable for large websites: Free hosting is not suitable for large sites and if your website grows you will need to move it. Unable to control user experience: If you have your own hosting than you can chose to upgrade the hosting if you feel that the website is slow. You are not able to this with a free host. You have to be happy with the hosting they provide you. You tie your fate to fate of the company. If something happens to them then all your hard work can be lost. This is especially true if you use a free URL since you will lose all your links, mentionings etc if the free host shuts down their service. One of the most popular free hosting companies is also one of the best, WordPress.com. WordPress gives you free hosting for your WordPress blog. You do not have to install any scripts or anything like that. All you have to do is register for an account and you will find your blog waiting for you. They allow you to have an unlimited amount of blogs hosted with them. You can chose to use your own domain for your blog or you can choose to use a WordPress domain free of charge. I do not recommend doing this as it limits your options in the future and will make your blog worth less if you ever want to sell it. If you choose to host with WordPress you can chose to use a large number of pre-installed themes and plugins. You are however limited to using the ones they provide. You can not use anything else. This limits the functionality of your WordPress.com blog. Most people will find all the feature they need available on WordPress.com. WordPress offer some extra premium featured that you can choose to pay for. WordPress is a rather good service but I still do not recommend that you use it. 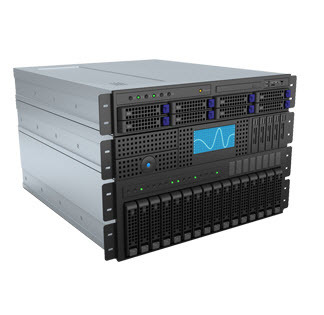 It has its limitation and it is better to invest in proper hosting right from day one. It will allow you to grow faster and it will save you time down the line. If you decide that you prefer to user free hosting then WordPress.com is a good choice that makes it easy to export your site if you decide to move.